Intensive 28-day treatment that reactivates the key mechanisms of youthfulness by acting at the very source of aging and loss of skin radiance. The complexion is more luminous and fresher, regains incomparable radiance. The skin is smoother and the face is absolutely younger looking. 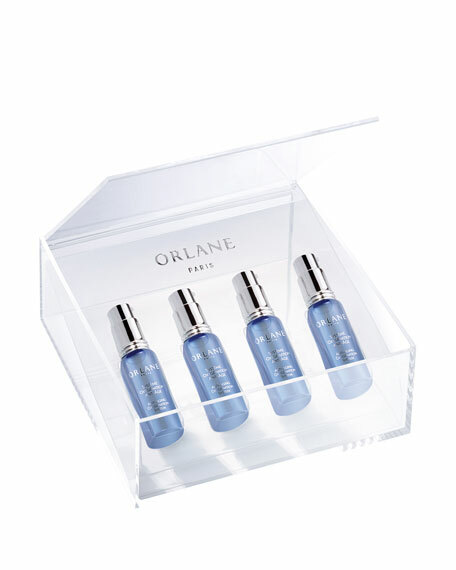 Each bottle contains the precise dose for a one-week treatment. Apply morning and evening, avoiding the eye contour, on its own or before your usual skin care.